The kids and I have been working our ways through both the Newbery and Caldecott medal and honors lists as part of the #nerdbery and #nerdcott challenges. We’ve already found dozens of new books to love. Sometimes we all agree, and sometimes our reviews are mixed. Today I’d like to share our opinions on The Biggest Bear, Snow White, and Baboushka and the Three Kings. Each of these books had strong points and weaknesses. My 7-year-old and I had different opinions about The Biggest Bear, so I’ve also included her review here. I was really excited when I first picked up The Biggest Bear. The illustrations are beautiful and instantly caught my eye. Despite this first impression, I was a little disappointed once I started reading. The story really shows it’s age. There are many parts of the book that could seem shocking to young kids, particularly those who live a suburban or urban life. 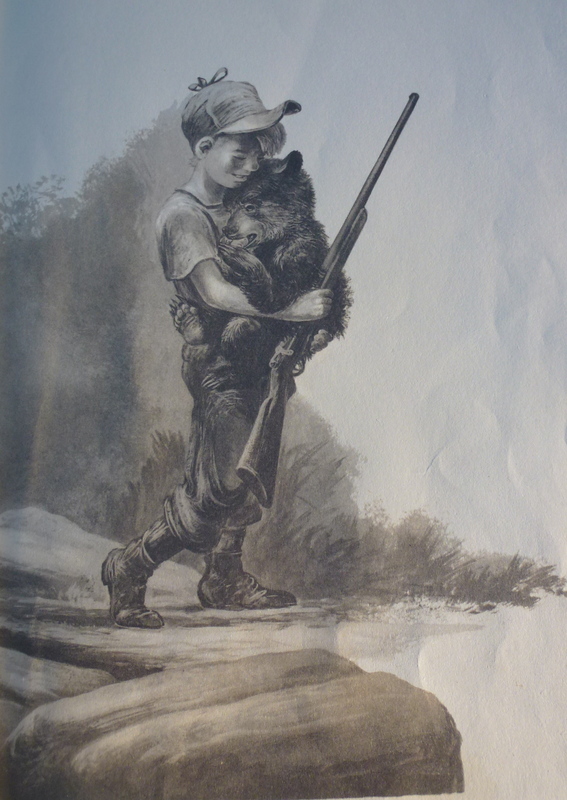 The story follows a young boy who wishes to shoot and kill the biggest bear. He goes into the woods with his gun, but he finds a cub rather than a large bear. Instead of killing the cub, he feeds it and brings home. As the bear grows, he starts to cause mischief, and the boy tries unsuccessfully to lose the bear. The point comes when he must kill the bear. Right before the bear is shot, the bear becomes afraid and runs into a trap. This trap was set by men at the zoo, who are thrilled to welcome the bear into their exhibit. The story ends with everyone happy about the bear going to the zoo. This book is so gorgeous, but the content is probably a bit above the level of the average picture book reader. Parents who wish to avoid images of children with guns will want to skip this book. 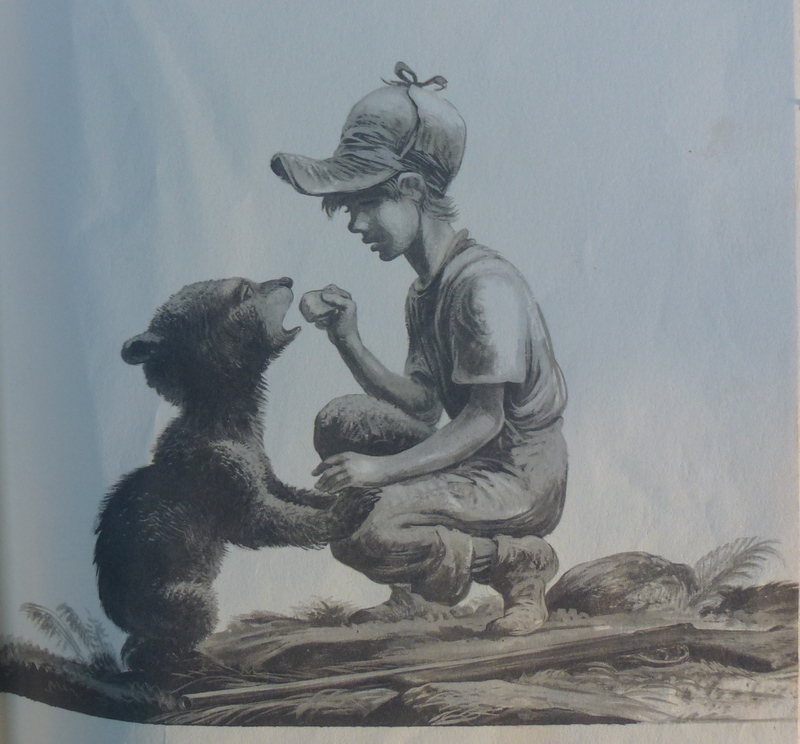 I was very disappointed that the consequences of the boy’s choice to feed the bear are never explored. I think this was a missed opportunity. It seems to end on a happy note and the boy’s actions are not questioned. On a positive note: This book fueled good conversation with my older kids. I initially started reading it with my 1 1/2 year-old (who was drawn to the beautiful illustrations of the boy and the bear), but I decided to bail and distract her once we came to the part where the boy was taking the bear out to be shot. I like this book. It is a story of a boy who adopts a bear. The pictures are very realistic. I wish that I could draw that well! I thought it was really funny when the bear swam for 2 miles and didn’t get very wet. I like that the bear doesn’t get shot and gets put in the zoo. 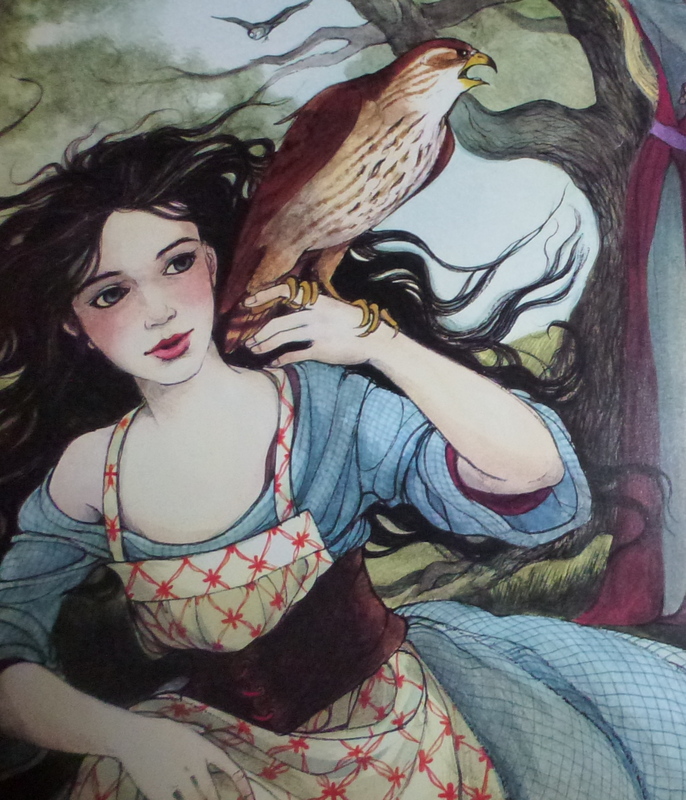 Also as part of the Nerdcott challenge, we recently read Snow White and the Seven Dwarves by the Brother’s Grimm. There are many editions of this book, and several have won awards. We decided to poke through a few of them and see what we thought. One edition particularly caught my eye. It was illustrated by Tina Schart Hyman. She won the Caldecott Medal for Saint George and the Dragon, which is another family favorite and an Ambleside Year 1 selection. This particular retelling of Snow White is darker than most, and I wouldn’t recommend it for younger children. If your kids are a bit older and enjoy classical tales, I think this is a great book. And, finally, a book that differs in pretty much every way from the previous two. 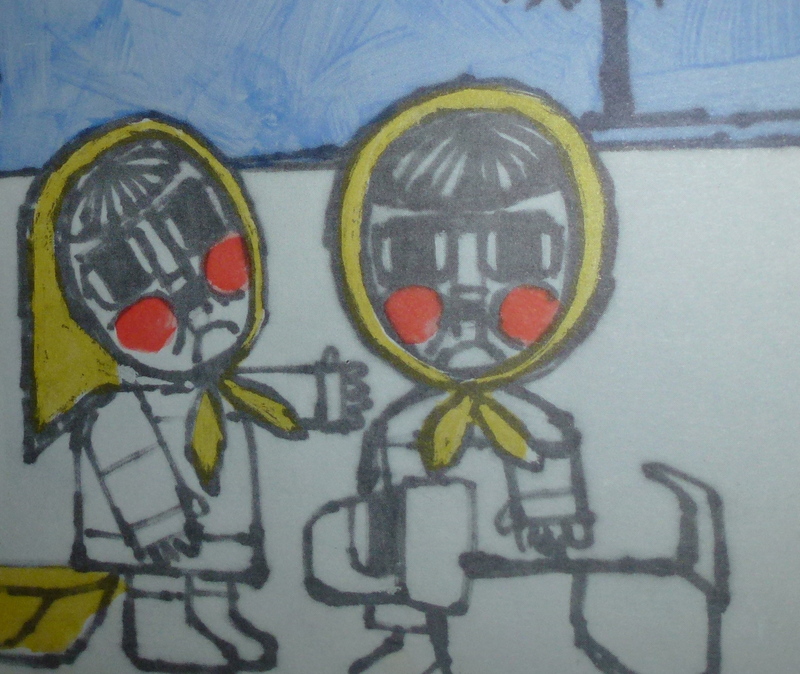 Baboushka and the Three Kings is a story with very simple illustrations, but it would be appropriate for any age. It is far shorter than the previous two books, and toddlers should have no problem sitting through it. It would be a great read-along with young kids around Christmastime when you are discussing traditions in different parts of the world. I’d love to hear your opinion on these picture books or any others that you’ve read. Some of the other books that we’ve all recently enjoyed include Sam, Bangs and Moonshine, The Voyages of Dr. Dolittle, Hide and Seek Fog and Sylvester and the Magic Pebble. How about you? I’m surprised that you think picture books are age specific. I find that some are written for older children and of course the best are ageless. I’ve read The Biggest Bear and B asked that we never read that one again. We read so many picture books. I despise reading long books aloud because I can’t concentrate on such long passages audibly even when I’m the one doing the reading. Some recent favorites of my seven year old are Joan of Arc by Diane Stanley, Weslandia, The Seven Silly Eaters, Egyptian Diary: The Journal of Nakht, ABCedar, and I Once Was a Monkey: Stories Budhha Told are the ones that pop into my mind immediately. With some time to think I could come up with many more. Hmmm… You’ve given me some new concepts to process, Helen. I guess I’ve never really thought too much about it, but I think I do typically consider picture books to have target audiences. I think it has less to do with age than with personality, comprehension level and maturity. The lower limit is the one that I think is most important, though. I still enjoy reading Good Night, Moon, even though it is obviously below my reading level. On the other hand, the length of The Biggest Bear, along with the content, would lead me to suggest it for kids who are closer to school-age. I noticed on Amazon that the suggested age for The Biggest Bear is 5+. So far it seems like my kids are pretty evenly split between those who would rather hear a book and those who would rather see it. My 9-year-old (who turns 10 in a few weeks!) loves to listen to books, but he prefers to read along as he listens. I put your recommendations on hold at the library. I can’t wait to check them out! The library system here is crazy and charges 75 cents per hold. Isn’t that insane?! They will waive it if you go to the counter and can prove that they are for children, but still… talk about a disincentive for reading! I didn’ t explain myself well. I do believe there is a minimum age for picture books but not an upper age limit. I was thinking of Harold and The Purple Crayon. I still love that book. I completely agree with what you said concerning content and length. I request so many books that I would be lost without it. Just today I picked up 19and holds that had come in since Wednesday. That dropped my total books on request to less than 60. I’m also able to specify an activation date so I can plan out science and history books well in advance. B wanted to know if your kids like history. He likes reading books based on true events or people best. If so he had several ideas. I hope some of the previously mentioned books work out for you.